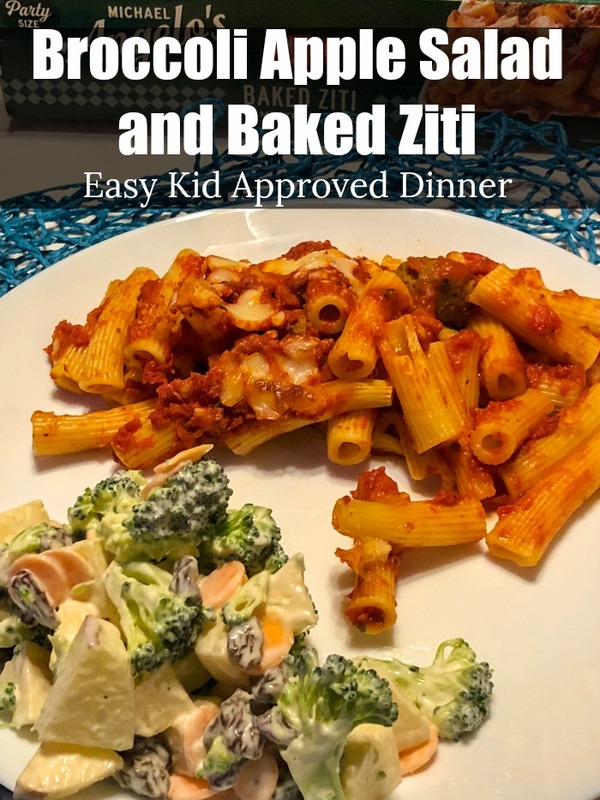 Looking for an easy kid approved dinner? 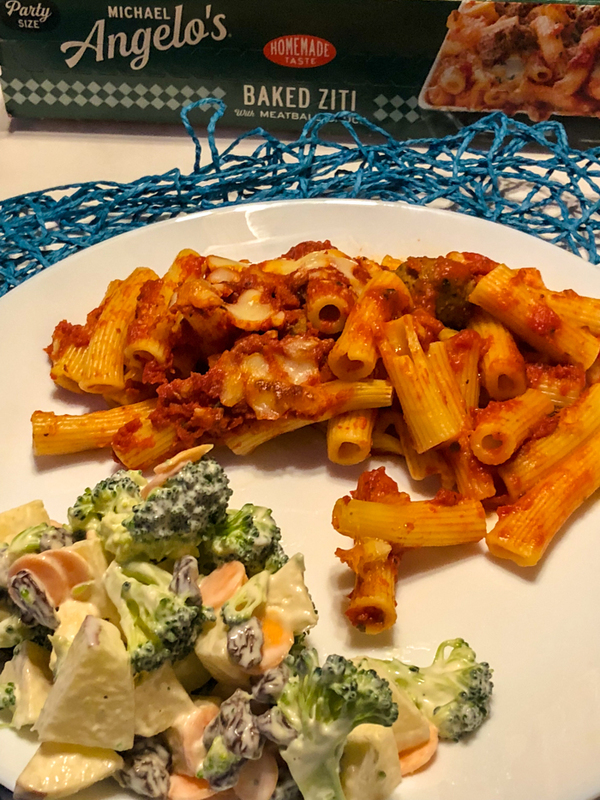 Start with Michael Angelo’s Baked Ziti paired with a simple Broccoli Apple Salad, and dinner is served. Families are busy. It doesn’t matter if you are a stay at home mom or working out of the house full time, by the time dinner comes around, things are just busy. In our house, I work all day from home. I have deadlines to meet. 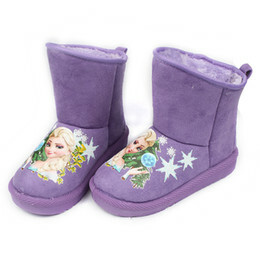 The kids get home from school and it is time for snacks, homework, dinner, baths and snuggles. Dinner can be a hard time for parents. Parents want to make sure that dinner is delicious that everyone in the family will eat, fits into a budget and doesn’t take a lot of time to make. 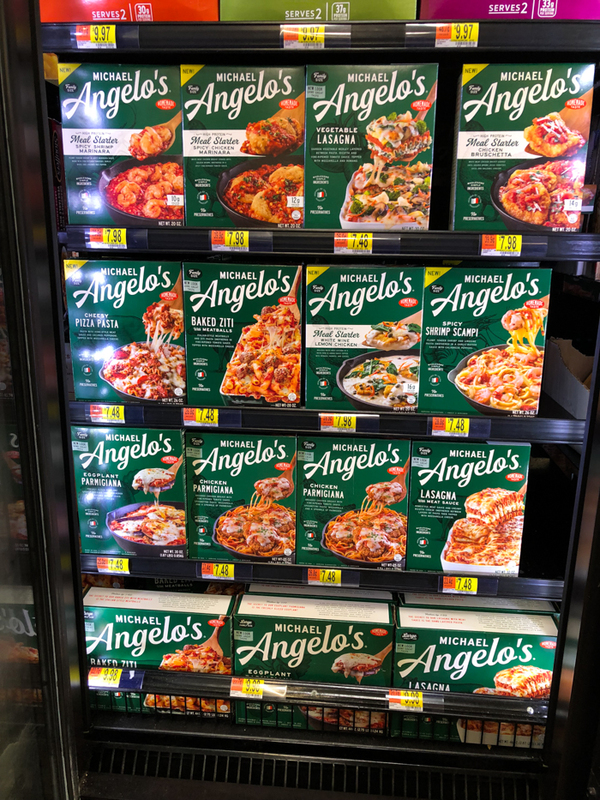 Michael Angelo’s Meals, available at Walmart, offers parents a short cut when it is time to make dinner. 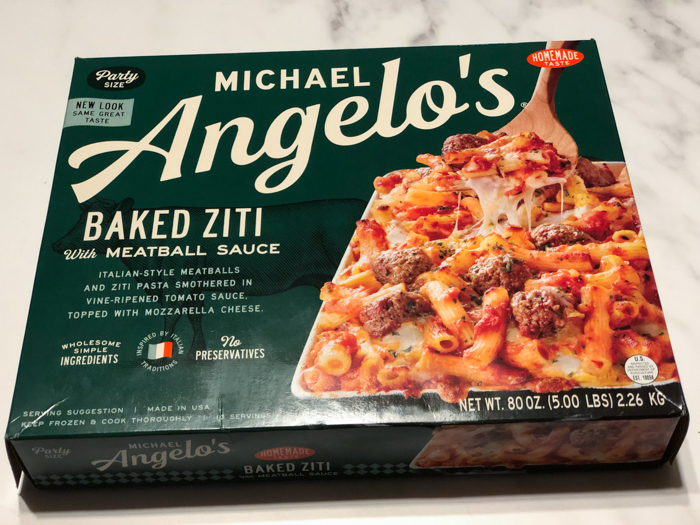 Whether dinner is a single serve entree or a family sized meal, using a meal starter or eating a calzone, the frozen Michael Angelo’s Meals are dinner done right. 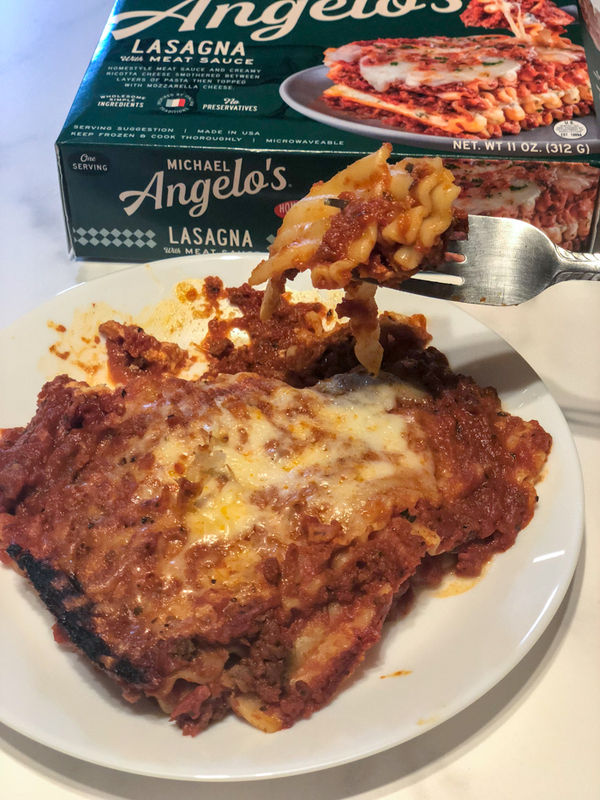 Made with real ingredients that you can actually pronounce and that are found in my own kitchen, the Michael Angelo’s Meals is Italian comfort food at its best that tastes like homemade authentic recipes. 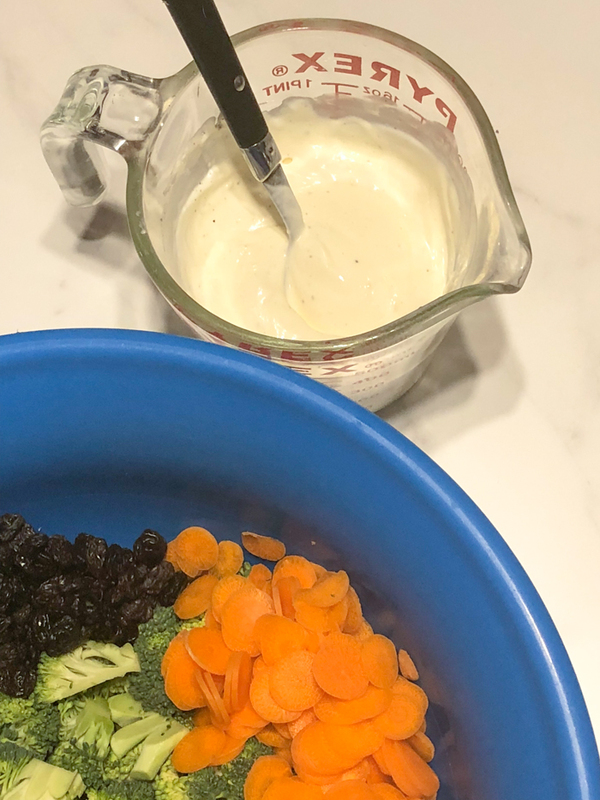 When I am choosing a premade meal for my family, I want to make sure it is not filled with artificial colors, flavors, sweeteners and has simple, transparent labeling so I know exactly what the meal is made with. Michael Angelo’s Meals offer many different authentic Italian meals. 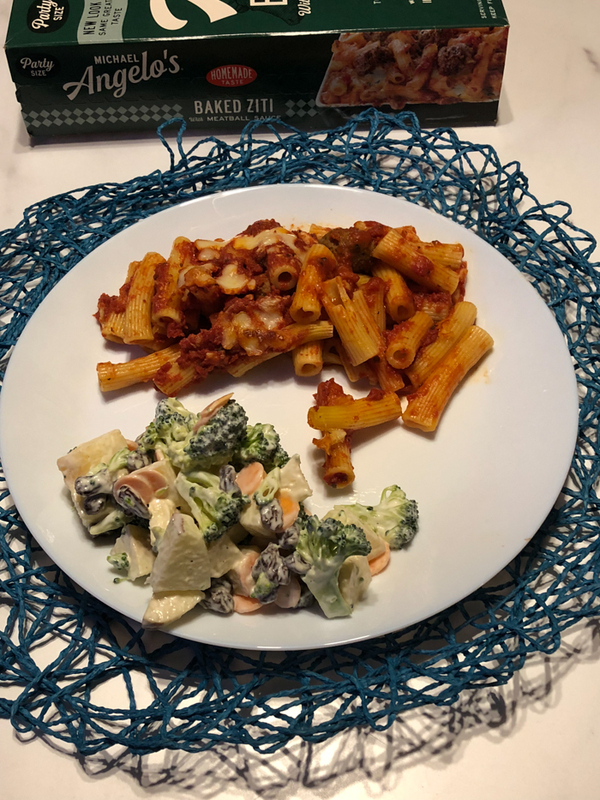 From Meal Starters like Chicken Piccata or Spicy Shrimp Scampi, as well as others meal starters, to Family Sized Entrees like Baked Ziti with Meatballs or Vegetable Pasta Primavera, to name a few, or the new Calzones, available in several varieties, these dinners are kid approved. Pair it with a salad or fresh bread and dinner is served. Visit Michael Angelo’s meal inspiration for more ideas. My kids love pasta. Any kind of pasta. When they know we are having Michael Angelo’s Baked Ziti for dinner, they cannot wait for it to be done. 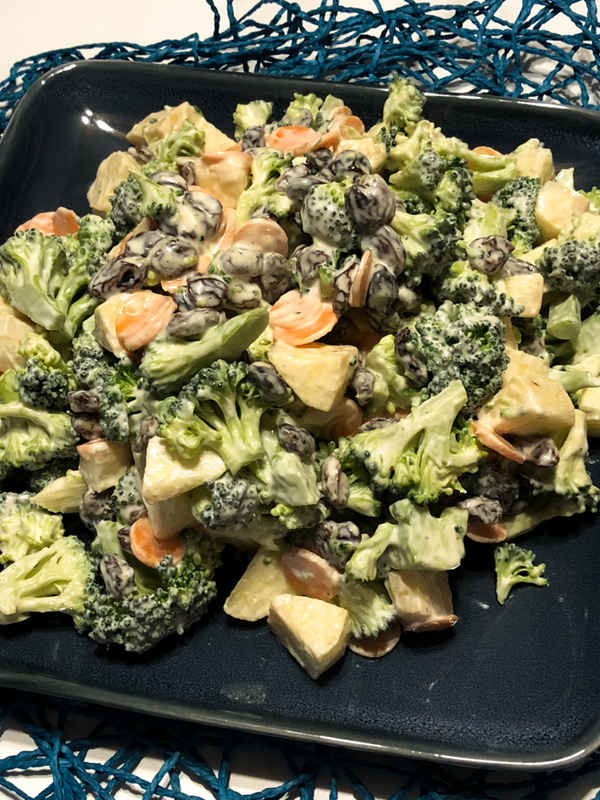 While the baked ziti is in the oven baking, I make a simple broccoli and apple salad. 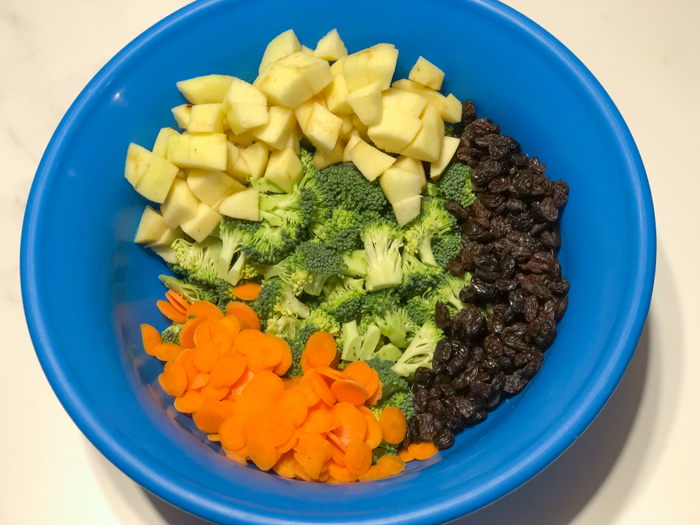 This kid friendly salad is always a hit. Packed with healthy ingredients, it makes a delicious side for any Michael Angelo’s Italian dinner. 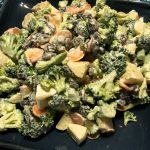 Chop the broccoli and apple into bite sized pieces. If using onions, dice into small pieces. Cut the carrots. Sometimes I buy the matchstick carrots. Oftentimes, since I always have baby carrots on hand, I use a mandolin to make thin sliced carrot coins. It doesn’t matter how the carrots are cut, it is really personal preference. In a separate bowl, combine the dressing ingredients. Pour over the salad ingredients. Mix together. Store in the refrigerator until the baked ziti is ready. Michael Angelo’s Meals also have great single serve options. My favorite is the Lasagna with Meat Sauce. It makes a great lunch or dinner option for someone who doesn’t want to cook a meal for just themselves. Chop the broccoli and apple into bite-sized pieces. Cut the carrots. Sometimes I buy the matchstick carrots. Oftentimes, since I always have baby carrots on hand, I use a mandolin to make thinly sliced carrot coins. It doesn't matter how the carrots are cut, it is really personal preference.